No matter what you think of TokyoFlash’s odd watch designs you have to give them points for creativity. Their latest piece? 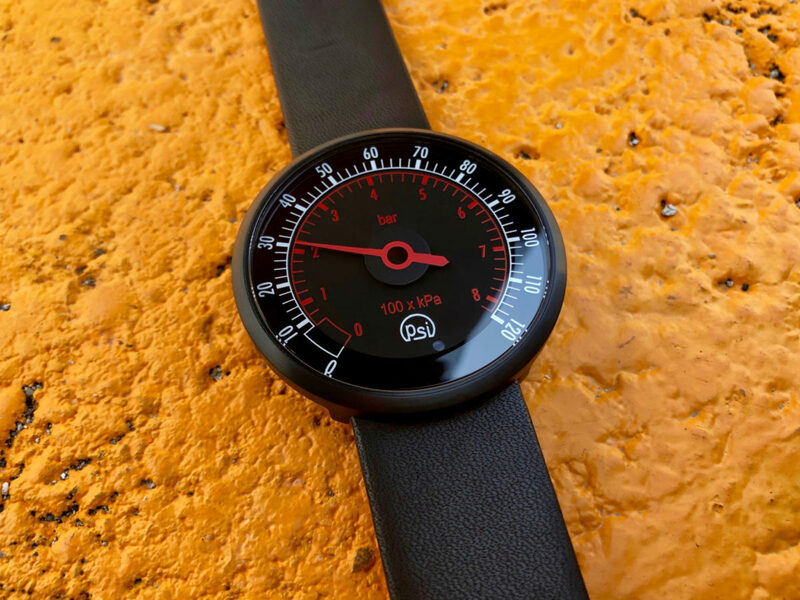 The $189 PSI, a watch that looks like a pressure valve for a machine that doesn’t exist. The watch has a single hand that shows the time by pointing to various numbers on the face. It’s pretty basic – you press a button and the hand swings to the hour, tens of minutes, and then minutes. It uses a rechargeable movement. TokyoFlash basically takes an idea – an alien object or subway sign – and turns it into a watch. I’ve seen dozens of their ideas over the years and this one is particularly elegant. More important, however, the workmanship on this new piece looks surprisingly good. TokyoFlash is shipping the new watch now, just in time for your annual Spring Steampunk cosplay fest. Now all you need is a stovepipe and brass goggles!